Drama Club is available to 7th and 8th grade students who are interested in strengthening their performance skills onstage and their technical skills backstage. From designing and building sets and costumes to helping each other make “stage pictures” in the scenes of the show, students enjoy working both onstage and off using creative drama skills. 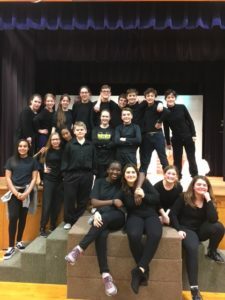 Drama Club starts in late August and concludes with performances during Catholic Schools Week. Our play this year was J.M. Barrie’s Peter Pan! 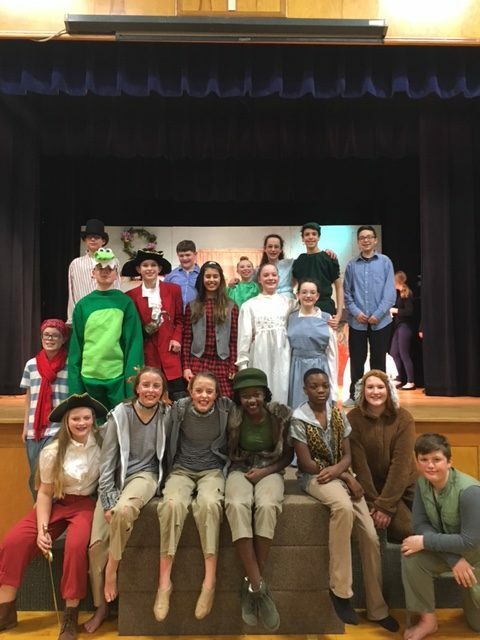 Our two casts of students (named the POTS cast and the PANS cast) worked hard on creating the scenes of the play and practicing their lines. Here are some photos of the casts in both their costumes and tech blacks. Here are a few other show photos. Great job on your performances February 1 and 2! Fee is to offset cost of royalties and script rental. jen.martinez@spsl.net I Was Reading This custom written dissertations.